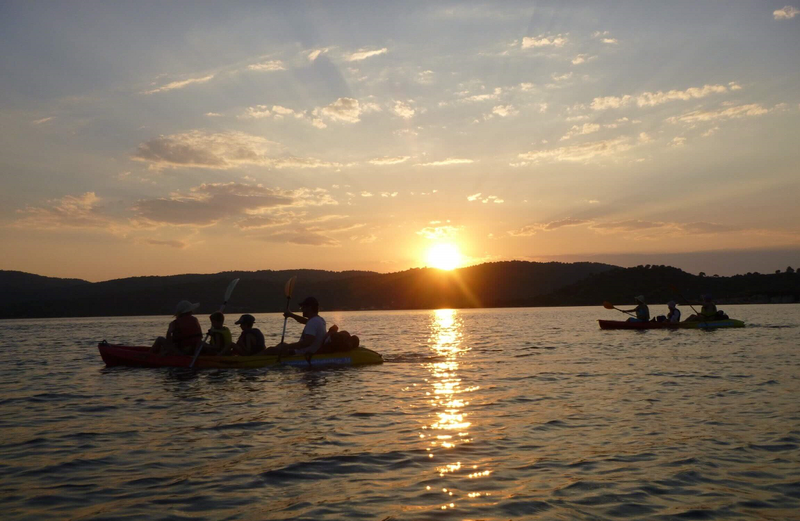 There is no better way to end a day in Halkidiki than watching the sunset from the peace and tranquility of our sea kayaks. 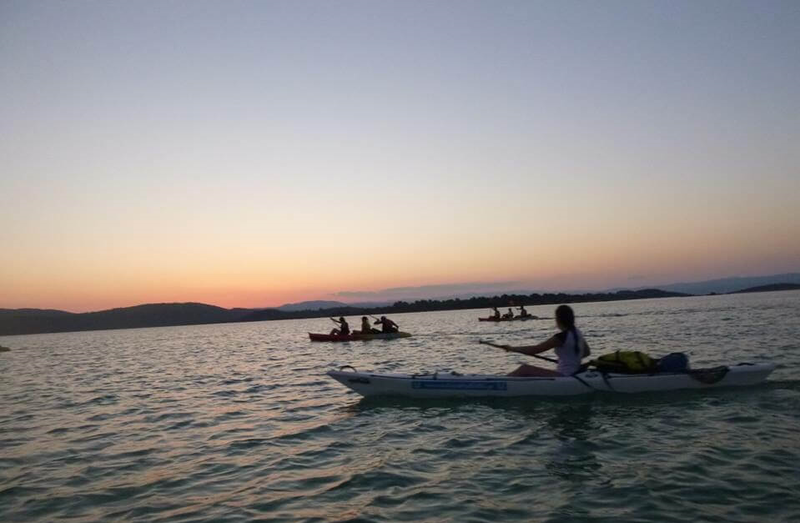 Our Sea Kayak Halkidiki Sunset Trips take in the atmosphere of the long summer evenings of Vourvourou in the best possible way. 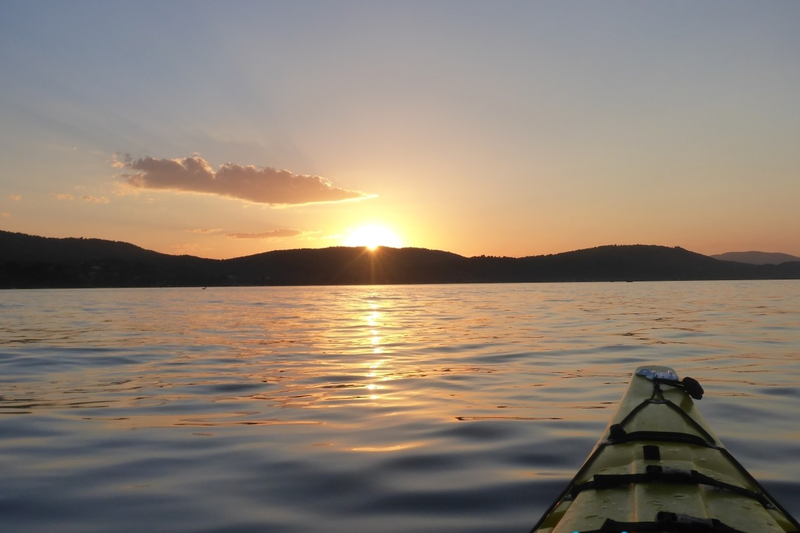 Experience the tranquility of the calm Vourvourou bay and the different shades of orange and red take over the landscape as the sun sets behind the hills. Relax and enjoy. There is little boat traffic at this hour. So we get the water to our ourselves. 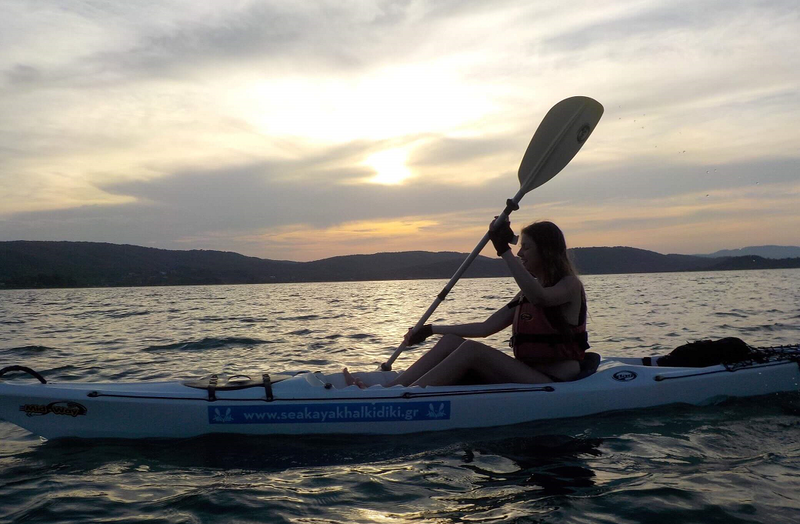 Our Sunset Sea Kayak trip last approximately 3 hours and it is ideal for families to get out on the water. – No experience required! Great for beginners, groups and families. 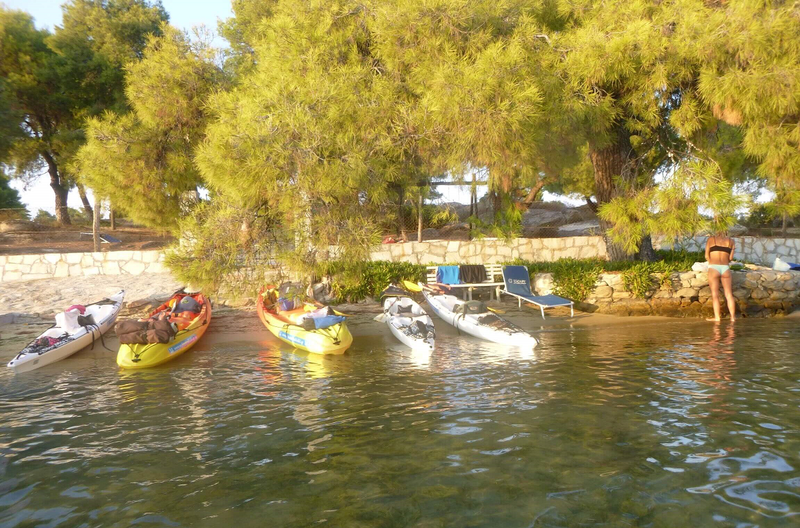 – Calm water, beautiful Vourvourou bay scenery in Sithonia. - Transportation available upon request. Additional fees apply.